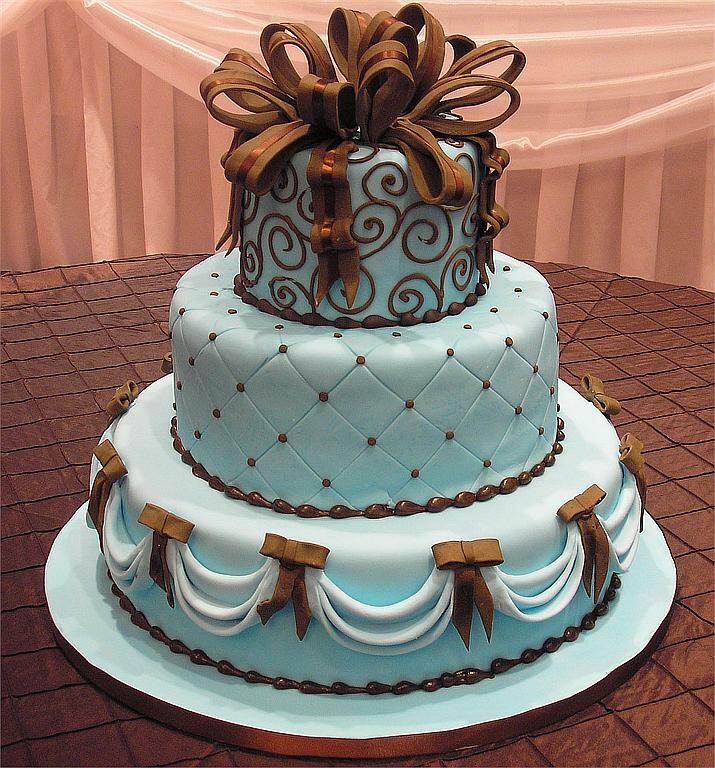 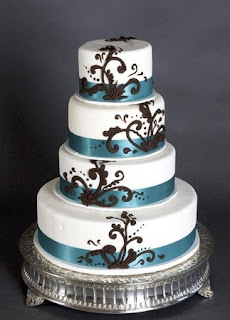 Various pictures of beautiful wedding cakes with color theme of brown and blue. Three tier blue round wedding cake with elegant brown strips separating the tiers. Three tier blue wedding cake with brown bows. 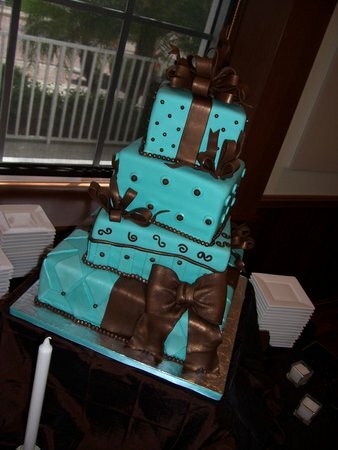 Tiffany blue square wedding cake in the shape of presents with brown ribbon. 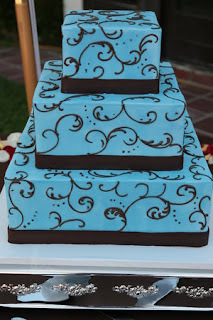 Four tier white round wedding cake with blue satin ribbon and brown chocolate swirls. 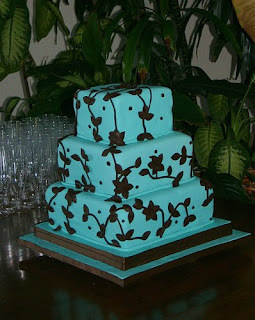 Three tier square wedding cake in blue with brown chocolate flower decorations. 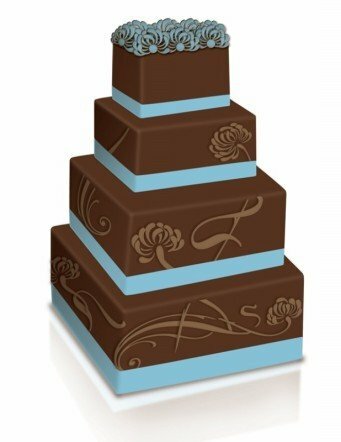 Four tier square chocolate wedding cake with powder blue trimming. 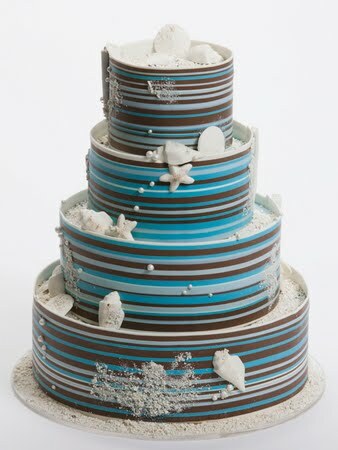 Four tier round wedding cakewith blue and brown stripes and seashells. 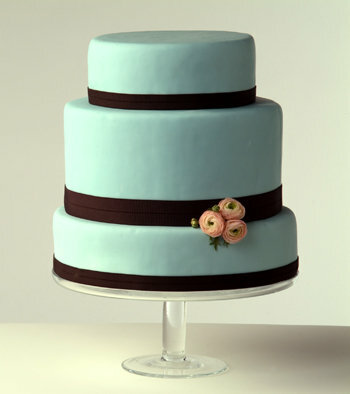 Three tier powder blue round wedding cake with brown trimming. Three tier square wedding cake in light blue with brown swirls.